Intelligent Control Technology sterilizes higher load capacities in shorter batch times, saving time and energy. 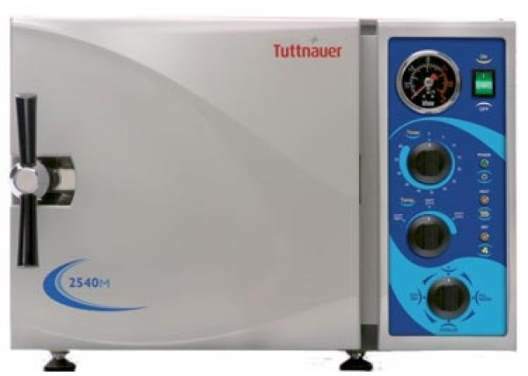 Dual temperature and pressure control systematically increases chamber pressure and temperature throughout heating phase, helping to achieve chamber and sample temperature in half the time of other autoclaves. 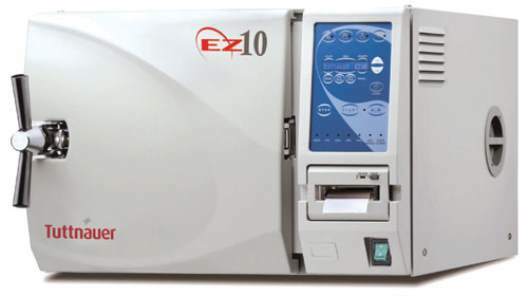 Satisfies all sterilization needs without compromising quality, safety or reliability. 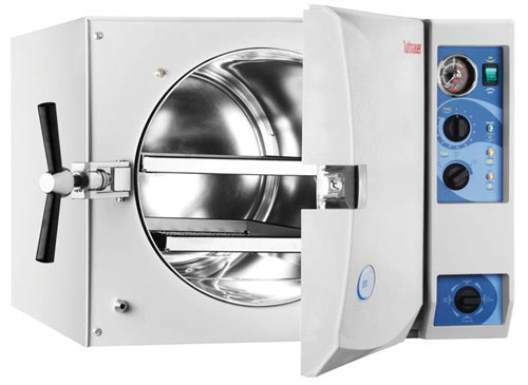 Offers automatic shut off at the end of both sterilization and dry cycles, a long life electro polished chamber and door, and double safety locking devices preventing the door from opening while chamber is pressurized. 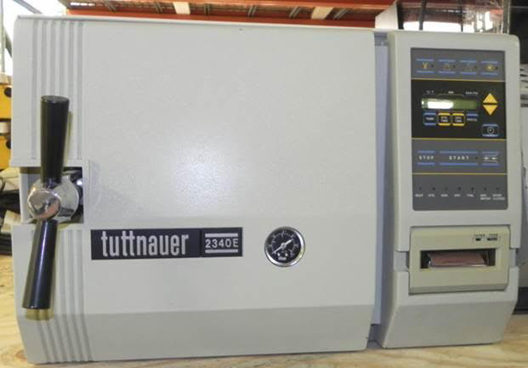 Designed for sterilizing laboratory and medical equipment, media and even liquids. Provides fast, safe, and dependable sterilization without any need for special plumbing or venting. 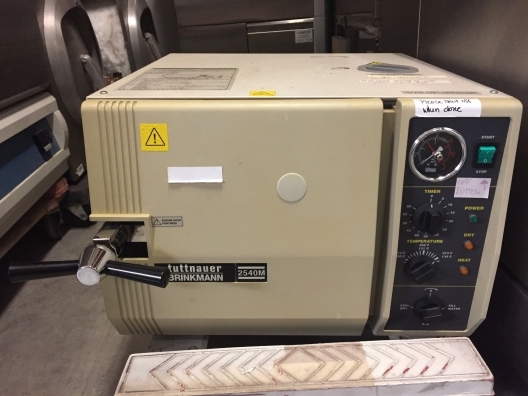 Features a fast exhaust option which reduces cycle time for solid goods and a slow exhaust option which releases chamber pressure slowly and prevents boiling over of liquids. Cold air pockets are eliminated by continuous pressure purging which ensures uniform sterilization. drying time (0 to 99 minutes)User also sets and stores units of °C or °F and psi or bar. A sensor prevents operation until the door is securely closed. In-line filters protect all pressure valves. A low-water signal indicates the reservoir needs to be filled. 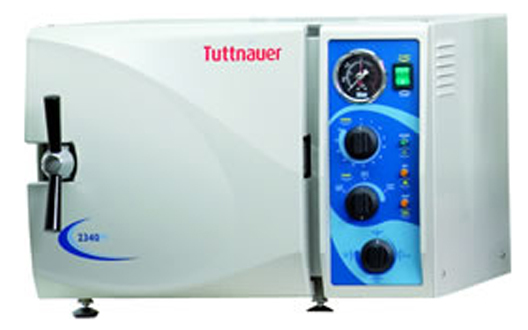 Affordable sterilizer that does not compromise on quality, safety and reliability. Double safety locking device prevents door from opening while chamber is pressurized. Dual safety thermostat protects against overheating and drain valve allows quick and easy draining of water reservoir. Provides a fast, safe, and dependable sterilization of both solids and liquids without any need for special plumbing or venting. Featuring stainless steel chambers which are highly corrosion-resistant. A fast exhaust option which reduces cycle time for solid goods and a slow exhaust option which releases chamber pressure preventing boiling over of liquids. Cold air pockets are eliminated by continuous pressure purging which ensures uniform sterilization. Ideal for multi-doctor practices, clinics or surgery centers. Features a closed door active drying system for maintaining sterility and ensuring efficient drying of packs and pouches. 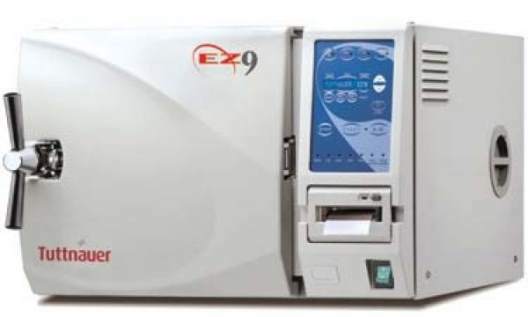 It rapidly cycles to optimize the availability of ready to use sterile instruments. 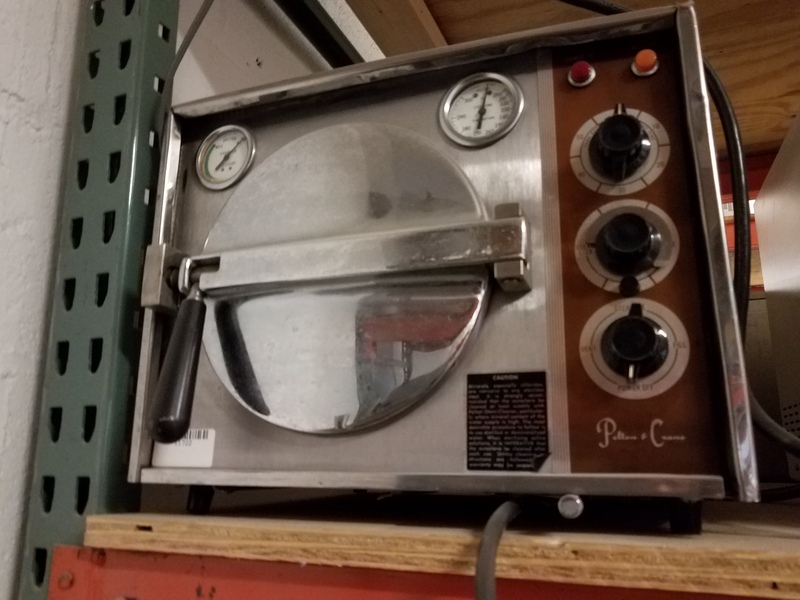 Despite the space-saving exterior dimensions of the Bioclaves, the stainless steel chambers are surprisingly large, accommodating a variety of liquids, media, instruments, glassware, plasticware and other common research laboratory items. 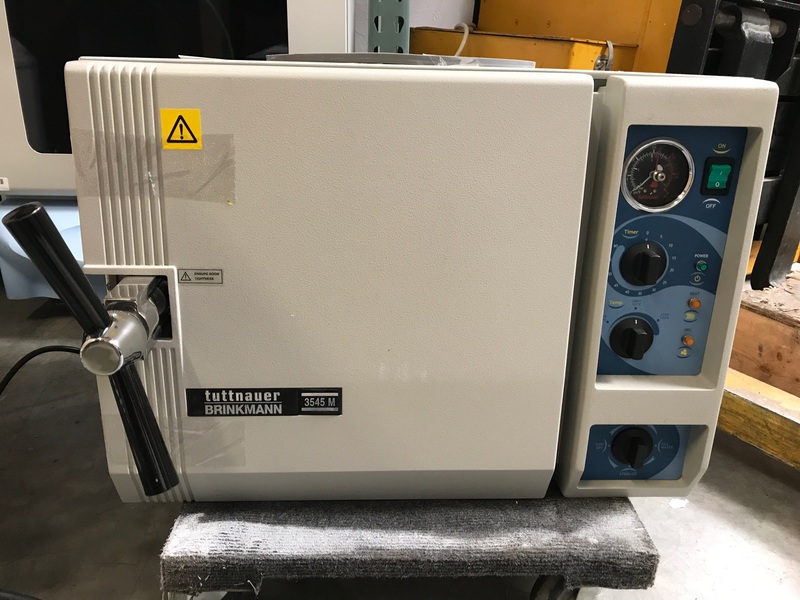 Both of these benchtop models include a mechanical and electrical safety interlock that prevents the door from being opened until the pressure has reached zero PSI. With a large digital display and fully automatic operation, all segments of the cycle (fill, sterilize, exhaust and dry) commence and run to completion by simply pressing the start button. 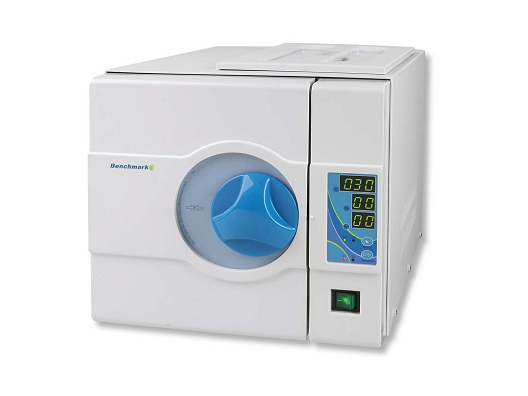 The 8 liter BioClave Mini is preprogrammed to meet basic sterilization needs. Temperature can be selected at either 121°C or 134°C, and the sterilization time is fully adjustable. The economical BioClave Mini is the ideal choice wherever benchtop sterilization is required and space is limited. 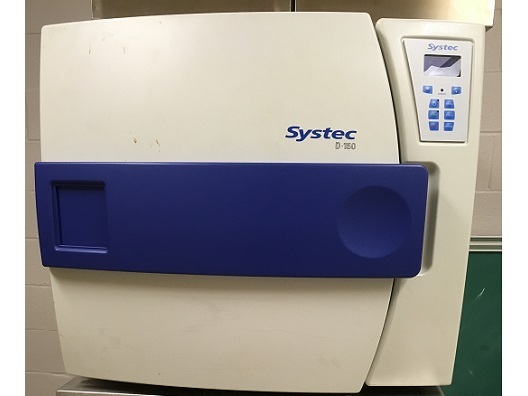 The Systec V-series of top-loading vertical autoclaves is distinguished by its small footprint and high chamber capacity. Result: optimal loading capacity with most standard media bottles and Erlenmeyer flasks. Up to 50% more loading capacity. 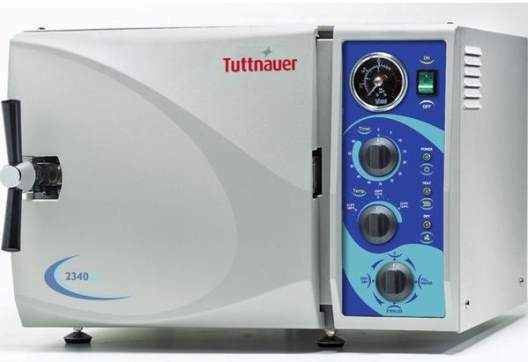 Fully automatic autoclave designed to fill, sterilize, exhaust and dry at the touch of a button. Offers closed door active drying system to maintain sterility and ensure efficient drying of packs and pouches. High efficiency air pump circulates hot air after the sterilization cycle for fast drying. Designed to fill, sterilize, exhaust and dry at the touch of a button. Closed door active drying system maintains sterility and ensures efficient drying of packs and pouches. High efficiency air pump circulates hot air after the sterilization cycle for fast drying.